Did you know that your body can absorb 600% to 1,000% more contamination in a single ten-minute shower than drinking the same tap water for an entire day? Ever notice how dry your skin is after you shower and the negative effect it has on your hair? 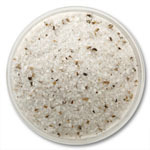 The chlorine in your water is designed to attack living organic matter and we are all living organic matter! NOW, you can stop the harmful effects of chlorine and other contaminants in your shower by getting the NEW Naturally Filtered Shower Filter. 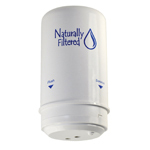 Our shower filter is the best performing shower filter on the market, and one of the few certified by NSF. Those Wellness Filter fans will be glad to know that this filter has the same filtration as the Wellness Shower, without the enhancement and higher price. Our new shower filter offers maximum reduction of chlorine and other contaminants for over 12 months - much longer than any other shower filter on the market. In fact, most other brands will not remove nearly as much chlorine as our filter, even in the short term. A revolutionary built-in backwashing system allows you to quickly reverse the flow of the water going through your filter and flush out any accumulated solids that would otherwise shorten the effective life of your filter. This simple to use, patented system gives you optimum performance for 12 months of continuous use with each cartridge. The Naturally Filtered Shower System is sleek in its design and comes with a chrome and gold plated deluxe shower massage head. This head will produce several different types of sprays including one for those tired aching muscles. The head may be removed for any other hand-held shower wands. The new filter comes in an appealing white color. Removes chlorine, a bleaching and drying agent. Keeps dyed hair color for longer. Back Flow design - The filter does not intrude into shower stall. Adjustable - massaging shower head. Removes hazardous chlorine vapors, radon and heavy metals.